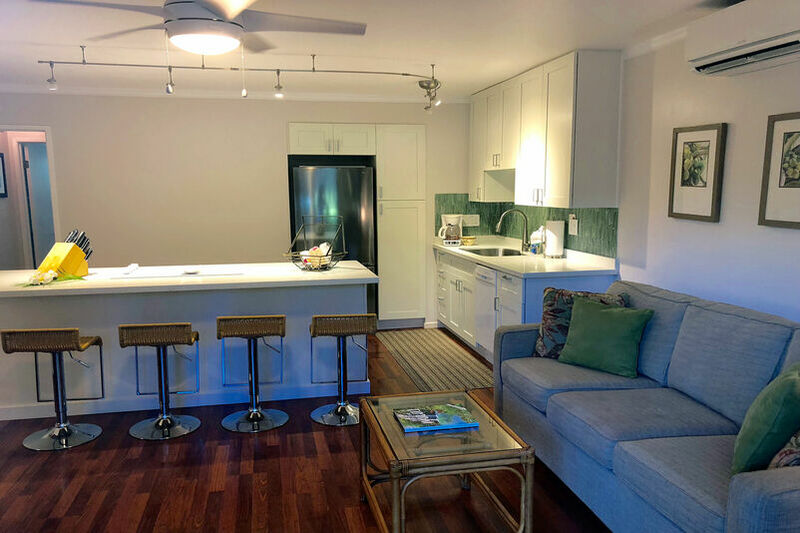 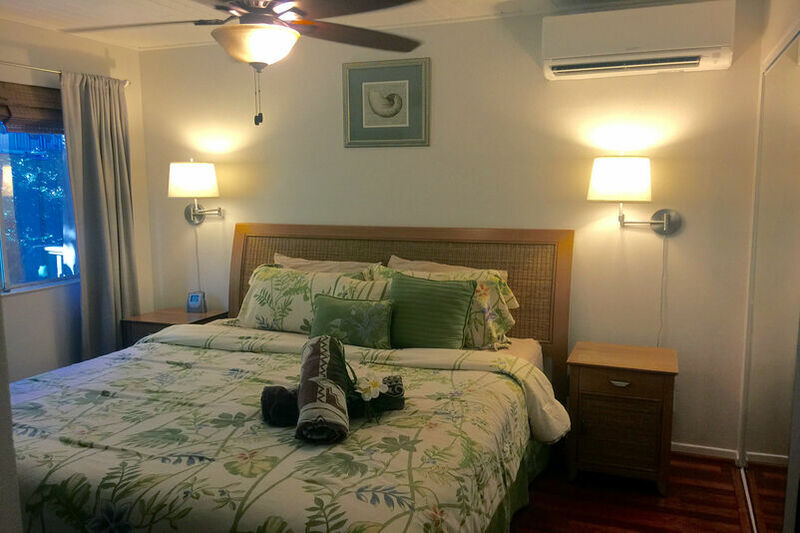 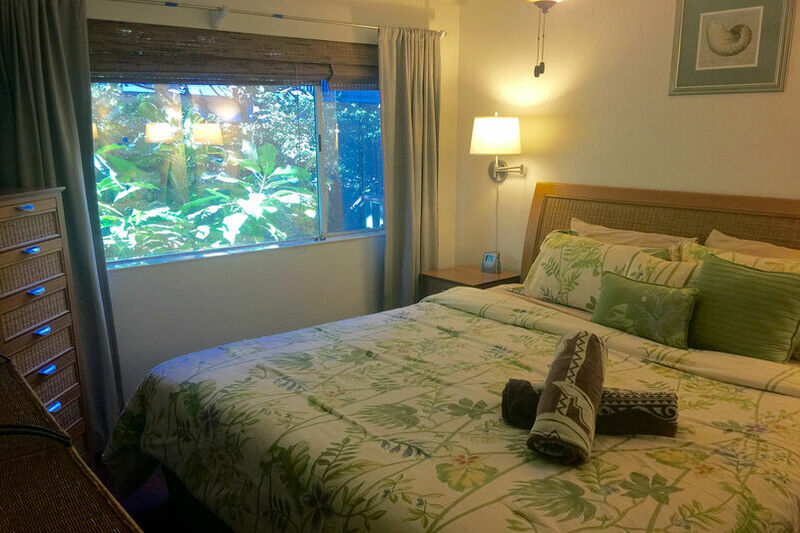 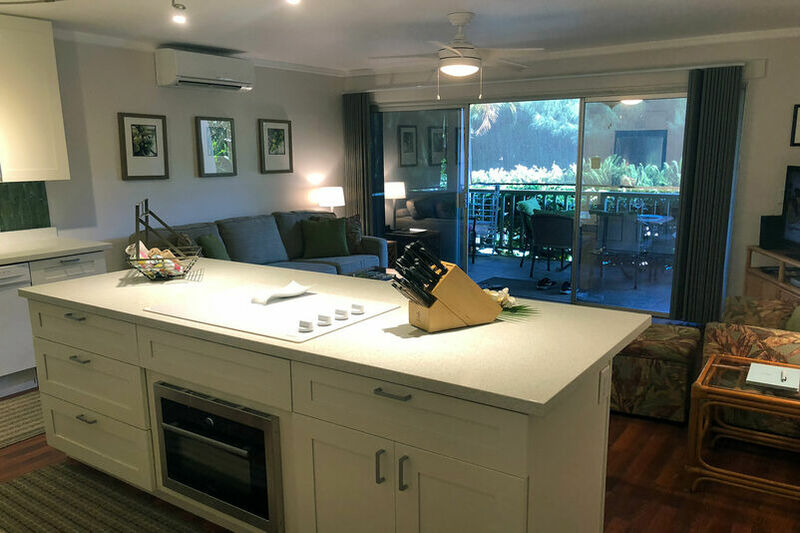 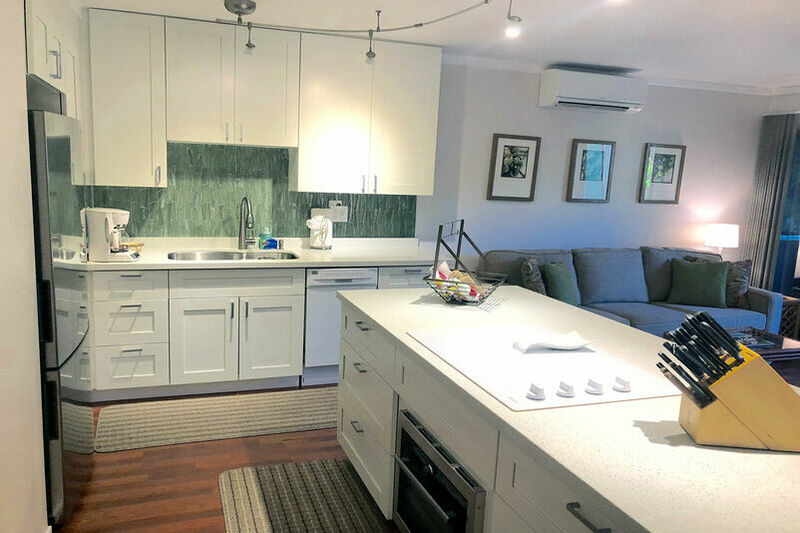 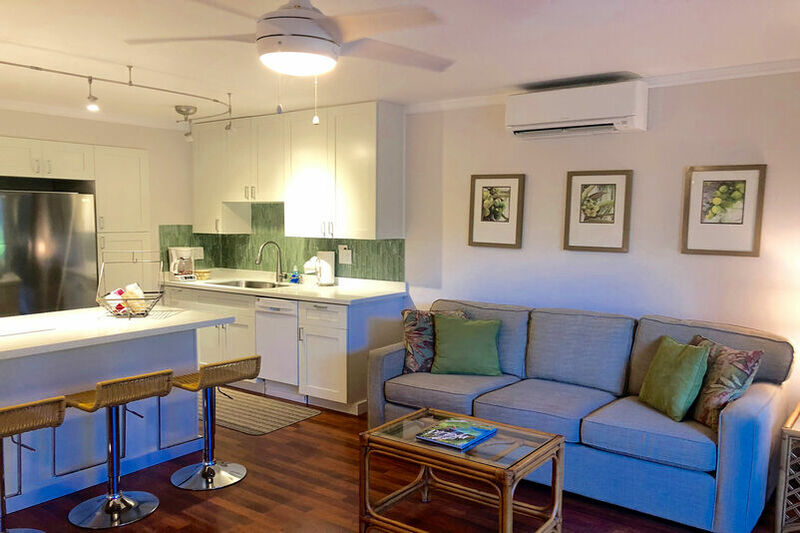 Unit #8 is a charming first-floor garden unit located in front of our tranquil pool surrounded by lush palms and fragrant plumeria trees. 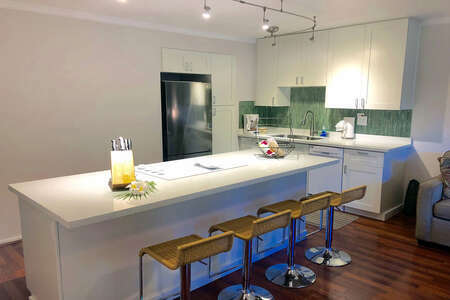 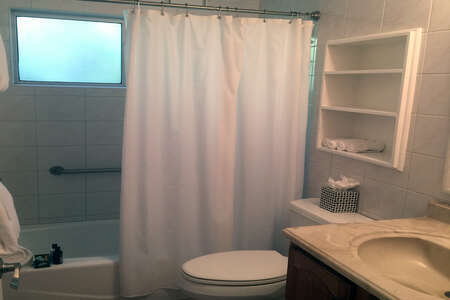 The kitchen has been newly remodeled and equipped with upgraded appliances. The bedroom features a king size bed and a new wall mounted flat screen TV, new remote controlled ceiling fan and air conditioning. 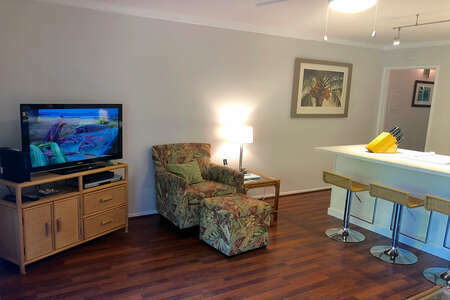 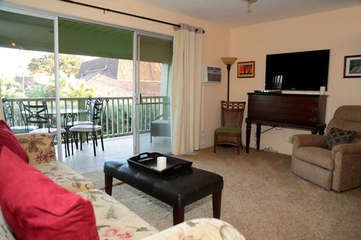 The living room is air-conditioned and has been recently refreshed with new paint, as well as new artwork, lighting, remote controlled ceiling fan, roman shades, queen size sleeper sofa, and occasional chair. 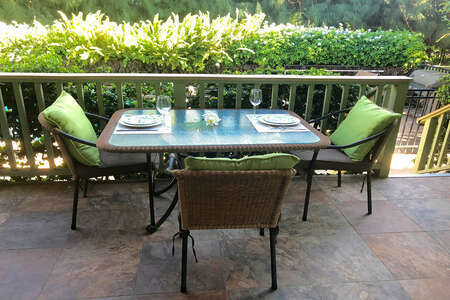 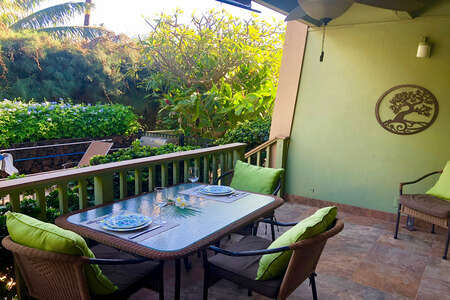 Dine on the lanai overlooking the pool or, barbecue at our oceanfront dining area. 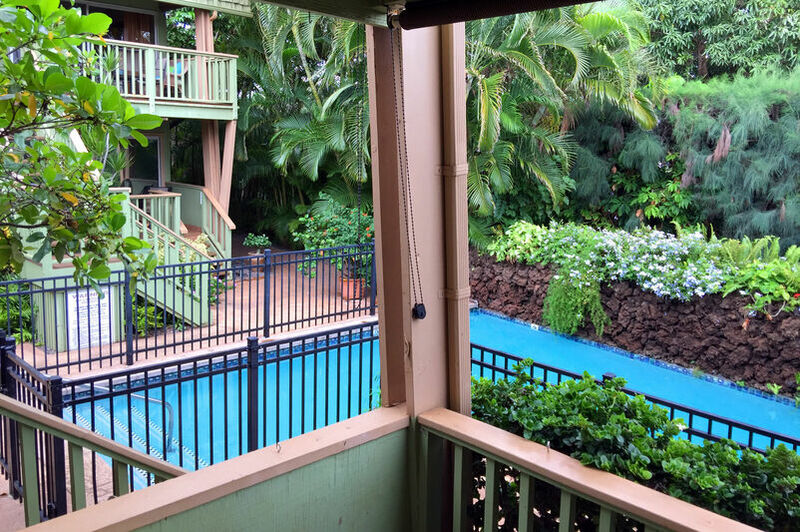 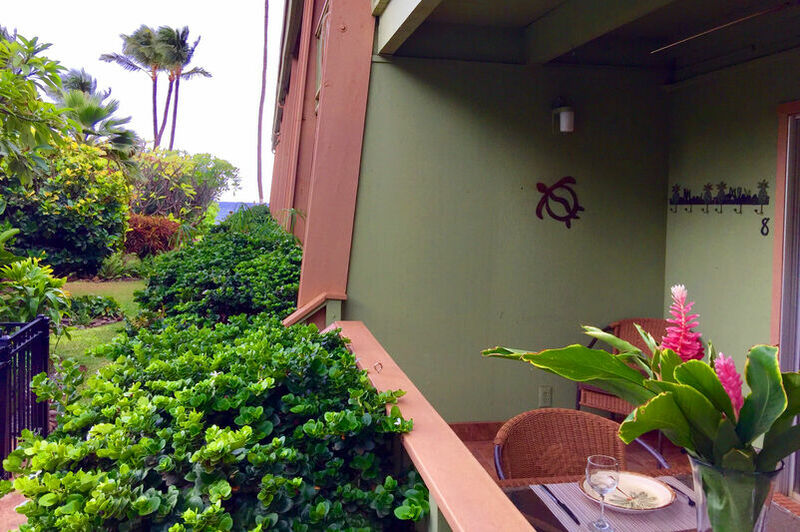 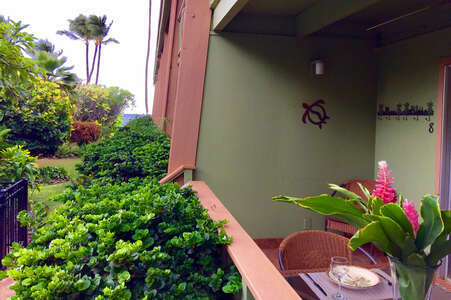 Enjoy the privacy of the property and the beautiful Maui sunsets all while lounging on our oceanfront lawn.